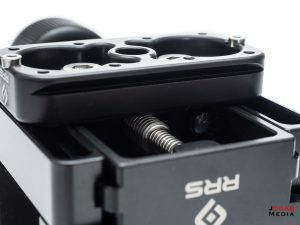 Several months back I wrote a review of the Really Right Stuff SOAR BAI-AT adapter mount for the Accuracy International Chassis System. 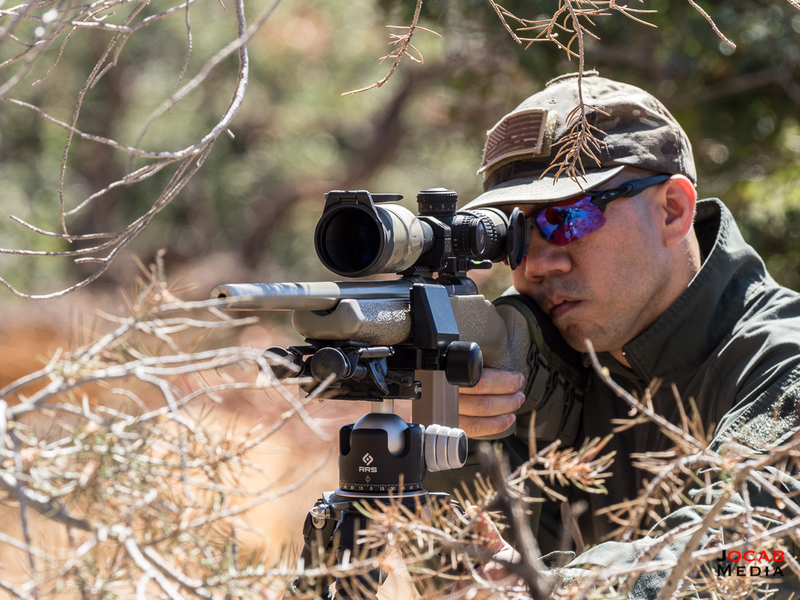 In the article, I discussed how there is a steadily increasing demand for tripod shooting solutions by precision rifle shooters for field expedient use in combat, competitions, hunting, and other shooting scenarios where a prone position is not suitable. 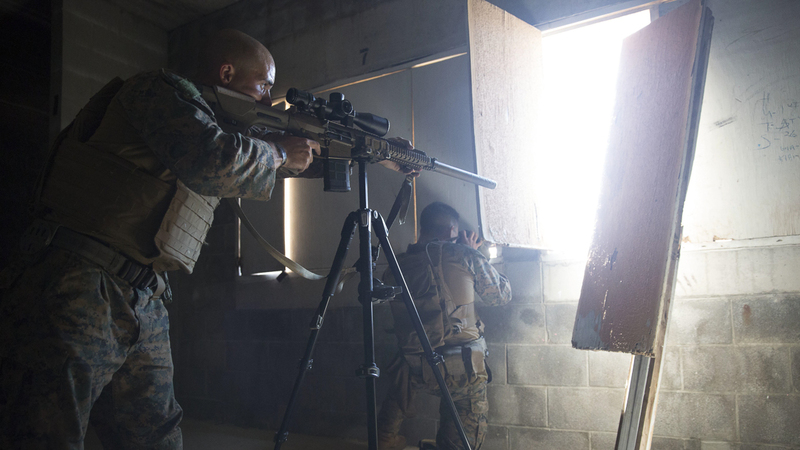 Photo By: Lance Cpl. Gloria Lepko (Source: Marines.mil / dimoc.mil) – The appearance of U.S. Department of Defense (DoD) visual information does not imply or constitute DoD endorsement. 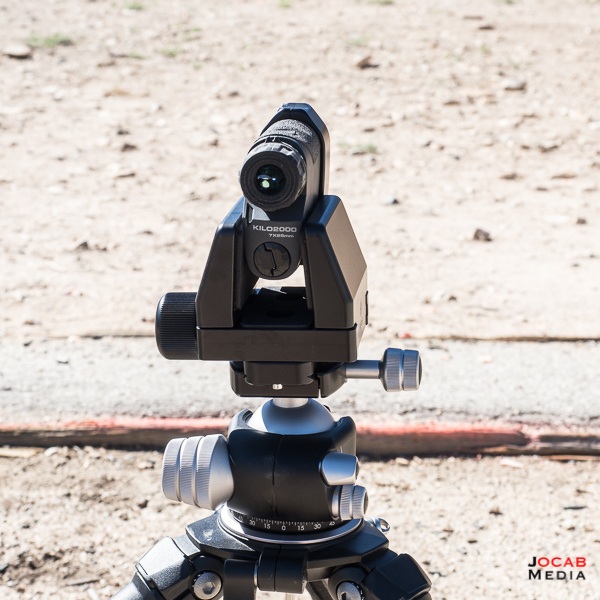 Since the time I wrote the review, the desire for shooters to utilize tripod has also expanded to a form of marksmanship exercise. Shooters want to learn and develop their skills shooting off of a tripod in order to enhance or otherwise expand their marksmanship capabilities. This is particularly true for shooters who are already proficient in the prone position, and want to challenge themselves further. Photo By: Cpl. Paul S. Martinez. (Source: Marines.mil / dimoc.mil) – The appearance of U.S. Department of Defense (DoD) visual information does not imply or constitute DoD endorsement. 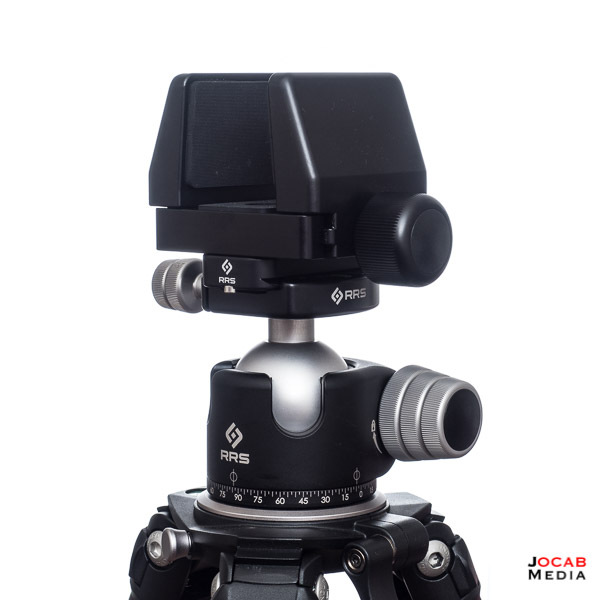 When I started using and experimenting with tripod shooting using the RRS BAI-AT, I used my Manfrotto 488RC2 ballhead (Arca-Swiss clamp converted) and Manfrotto 055XPROB tripod. The shooting experience was far from ideal and rather disappointing. 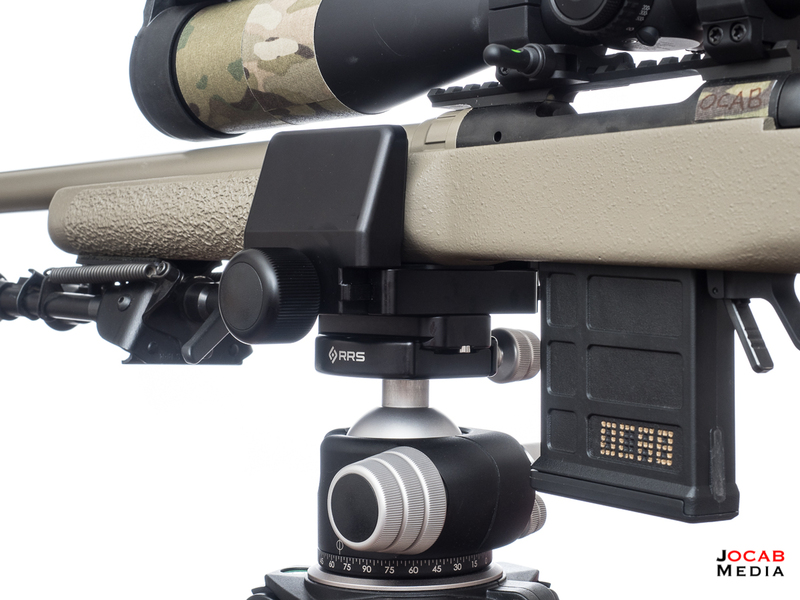 While the RRS BAI-IT Arca-Swiss dovetail mount adapter works great, the Manfrotto platform is not up to the task of providing a stable platform for the rifle. I have always wanted a Really Right Stuff BH-55 ballhead for photography. 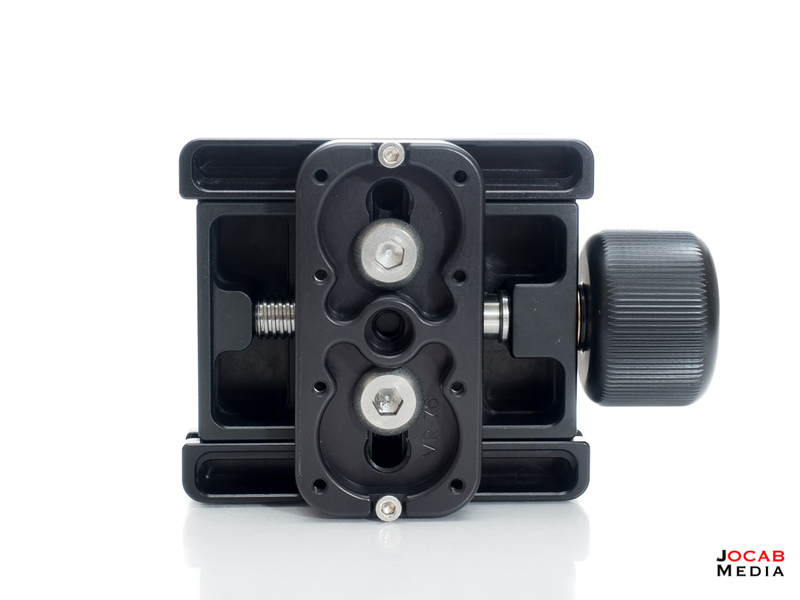 When I converted my 488RC to use an Arca-Swiss style clamp, it was mainly to keep my cost to start using L-plates on my cameras to a minimum. But since I wanted to start experimenting with tripod shooting, I finally shelled out for the BH-55. 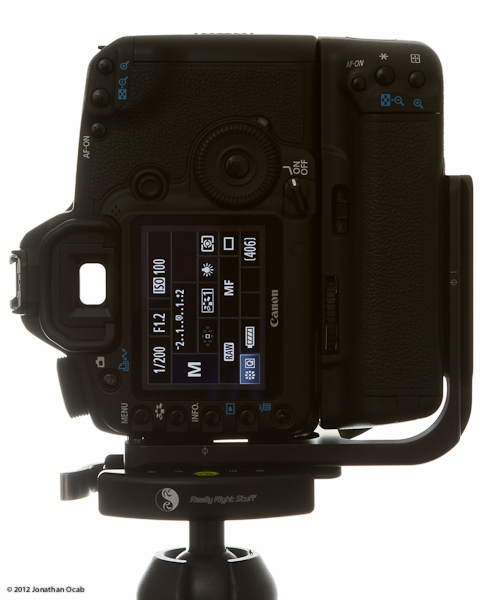 There are several reasons why the Really Right Stuff BH-55 is a superior ballhead than the Manfrotto 488RC2. The quality control and craftsmanship of the BH-55 is impeccable. The load capacity is 50 lbs vs 17.6 lbs. The ballhead itself does not suffer from any lock up slack. This means that when you adjust whatever is mounted to the tripod and get it into the position you want, and then tighten the ballhead and let go of the device, it will not move. The Manfrotto 488RC2 suffered from significant lock up slack and it always annoyed me in my photography applications. 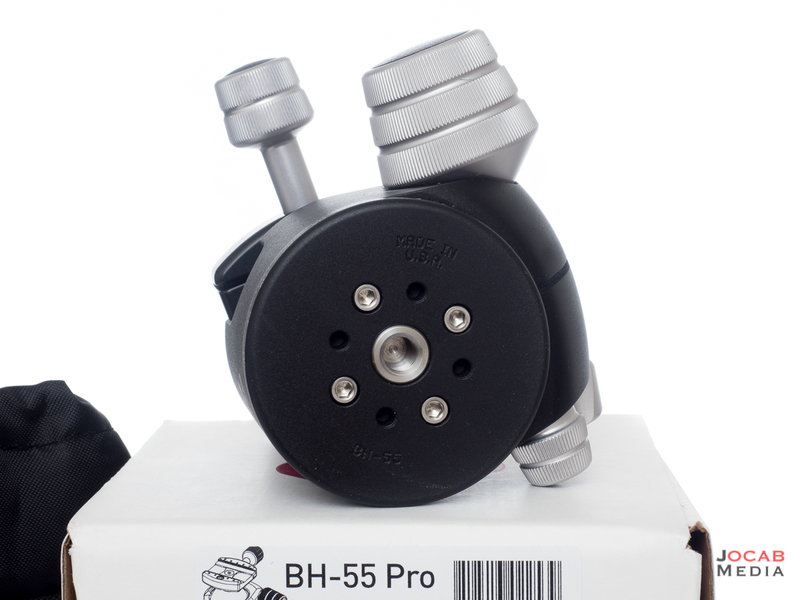 Then there is the thickness and rigidity of the ball stem to the clamp of the BH-55. The stem is where the wobble of a heavy load manifested itself on the 488RC2 and I noticed significant movement. When I acquired the BH-55, I also acquired another set of tripod legs, but I did not go with Really Right Stuff. I ended up going with an Induro GIT-204 Stealth. 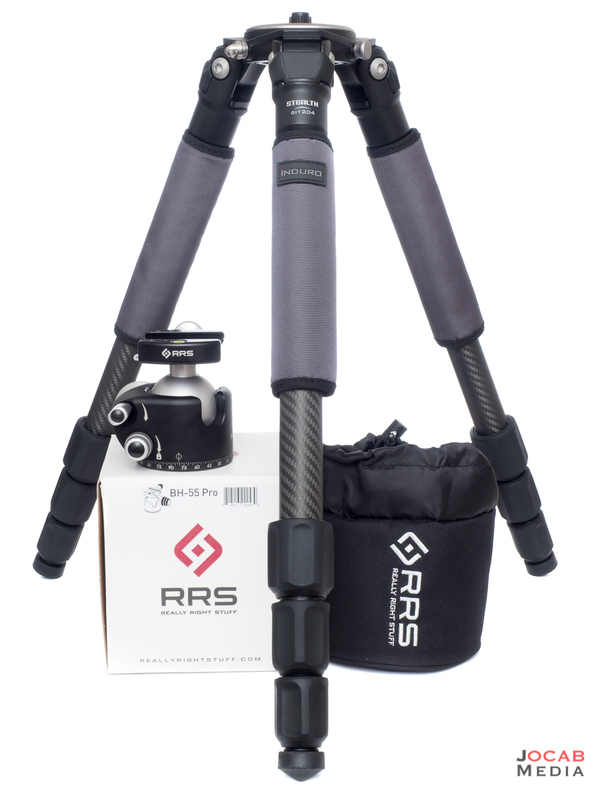 The GIT-204 is a four section, carbon fiber tripod with a load capacity of 44.1lbs. I opted for the Induro because I was able to get them for a good price ($209 USD) and felt they were low risk. I have never actually handled a Really Right Stuff tripod, I will say that they must be incredible tripods assuming they are better than the Induro, because the Induro GIT-204 is actually quite nice. Out of the box, the Induro shows good quality. The twist lock legs function fine. The feet can be changed out for other feet or spikes that utilize a 3/8″-16 thread pitch. It comes with leg pads and the load capacity is sufficient for rifle shooting. When I took the new RRS BH-55 and Induro GIT-204 setup out to the range and try it out, there was surprisingly more disappointment. 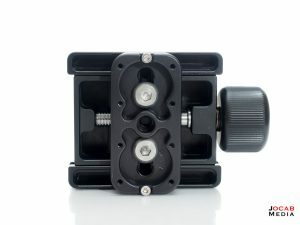 I discovered that while the RRS BH-55 ballhead was excellent in eliminating all the issues the Manfrotto RC2 introduced to the supporting platform, the carbon fiber legs of the Induro GIT-204 became the limiting factor. More specifically, the tripod leg segments were the limiting factor. 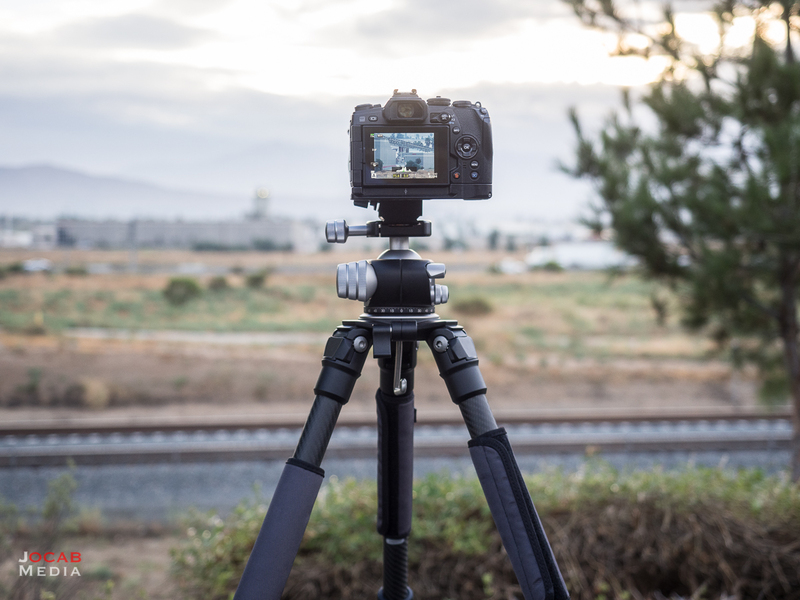 When shooting from the standing position, and all of the segments extended, the weakest point in the tripod support platform is where the legs are segmented. 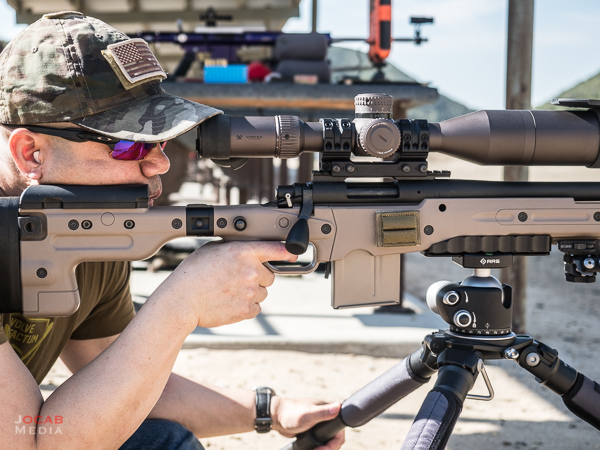 If any horizontal force is exerted or torque is introduced to the rifle, the legs will flex at the segment points / leg locks. 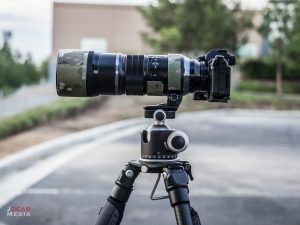 So in my experiments and practicing shooting the standing position with a tripod, I found that the elevation dispersion was minimized and mitigated by the rigidity of the RRS ballhead, but the windage / horizontal dispersion is still an issue (while nowhere near as much as before) due to the tripod leg flex. I continued experimenting with the sitting position off of the tripod, and this rendered a far more stable shooting platform simply due to how the leg segments are not fully extended, and how the foot print is widened by the leg angle. This results in minimal horizontal play due to minimal flex in the tripod legs. Up until that point in time, all of my tripod shooting was with the AICS due to the direct RRS SOAR BAI-AT mount adapter. My Savage 10FP in the McMillan A-5 stock has been getting a lot of range time ever since I revamped it with a new barrel, new detachable box magazine bottom metal, and a new scope. But since the McMillan A-5 has no direct Arca-Swiss dovetail mount capabilities without a modification to the stock itself, I decided to acquire the Really Right Stuff SOAR VYCE Equipment Support Mount. 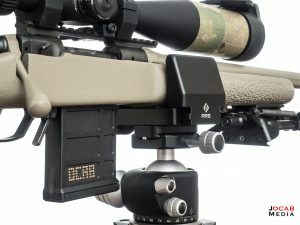 The VYCE Equipment Support Mount is essentially a vise clamp style adapter, similar to the more prevalent HOG Saddle currently in use by many military personnel (refer to the first two Marine Corps photos at the beginning of this article). The VYCE is hard anodized, CNC machined 6061-T6 and 7075 Aluminum and jaws open to three inches wide, which should accommodate most rifle forends. 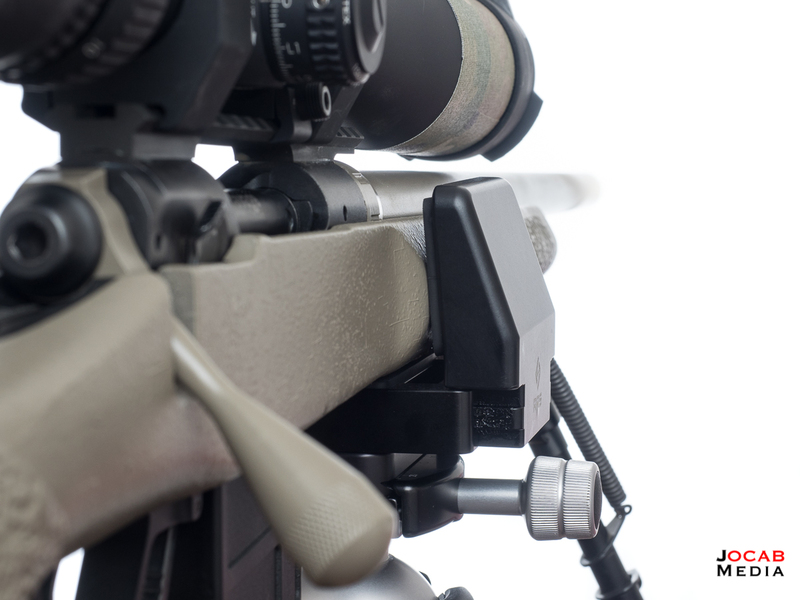 The jaws have textured rubber pads to aid in gripping the rifle or other devices clamped into the VYCE. While the VYCE jaws have ample clamping power, the jaws themselves are angled inward, which also aids in keeping the rifle clamped into the VYCE. 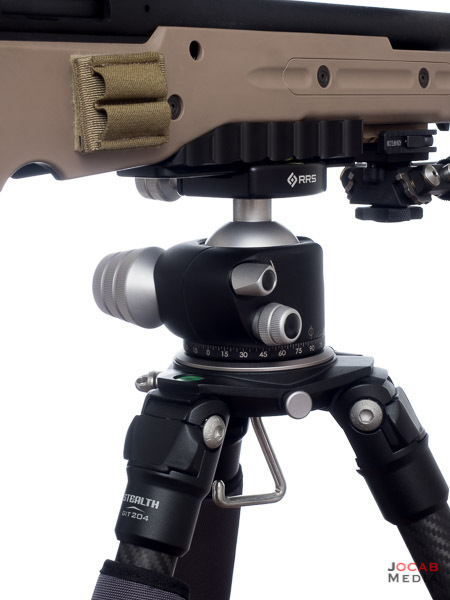 A while back I was looking at the HOG Saddle, and most of the examples of use involved direct mounting the HOG Saddle to the tripod itself (and not via a ball head). There was not much emphasis placed on designing the bottom interface of the HOG Saddle to Arca-Swiss dovetails (either directly or via an Arca-Swiss plate). 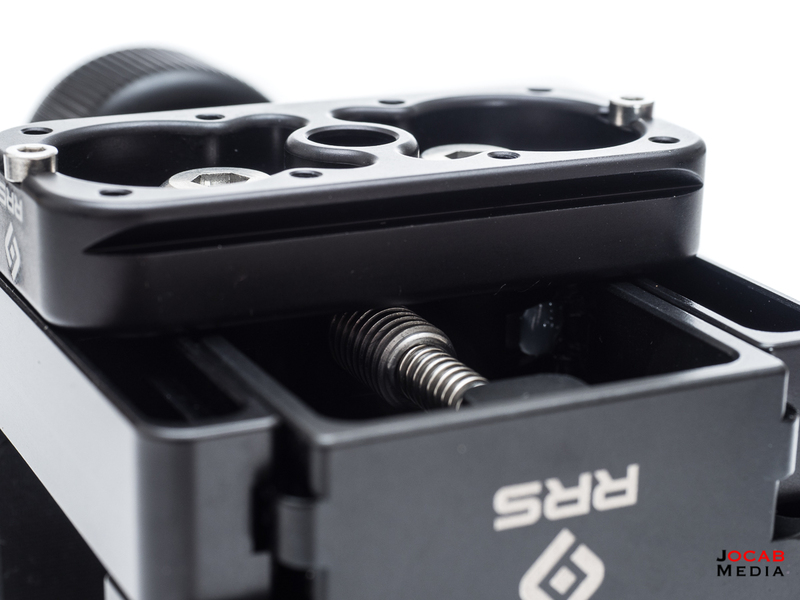 Since RRS products utilize the Arca-Swiss dovetail, they made sure the VYCE was machined to direct mount to an Arca-Swiss adapter for a rock solid platform. By default, the VYCE does not come with an Arca-Swiss plate and is setup for direct mount. 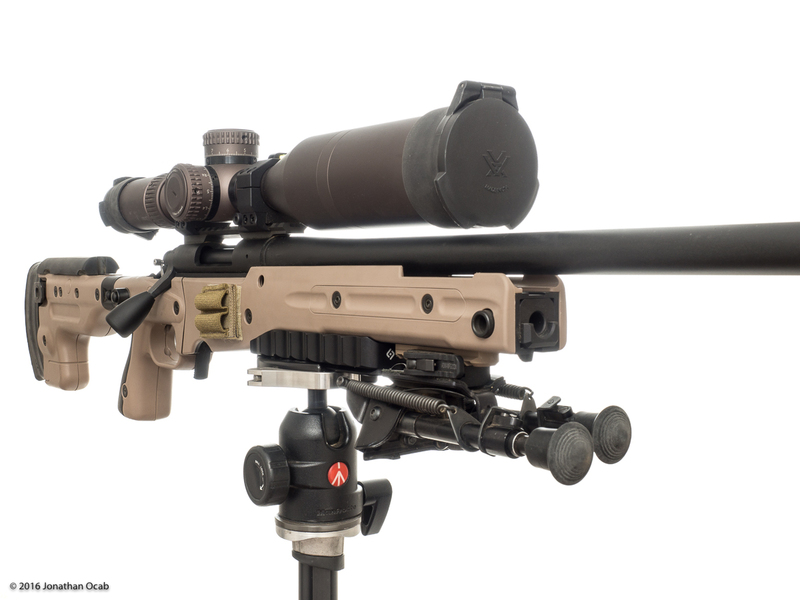 But I elected to add the QR plate / VR-76 VYCE Rail with the VYCE when I ordered it. 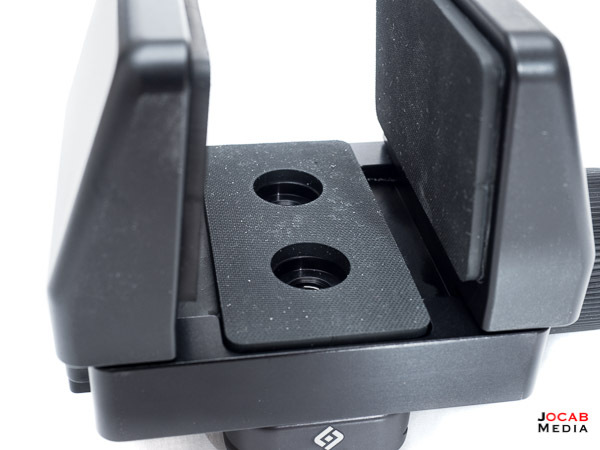 Two screws secure the plate to the VYCE which eliminates rotation, and there are two stop screws specifically designed for RRS clamps, which help to keep the plate (and VYCE) from accidentally sliding off if the clamp is not fully tightened. So the RRS BH-55 and VYCE clamp interfaces quite nicely. The rifle initially felt quite secure in the VYCE with no noticeable concerns about balance or stability. After live firing the Really Right Stuff VYCE, I found it to be more pleasant to shoot as opposed to the directly mounted AICS with BAI-AT mount. For some reason, the rifle in the VYCE seems to respond better when setting up the shot. I am not sure if is because the rubber pads of the VYCE jaws dampen the vibration. During my initial use of the RRS VYCE, the QR plate actually came loose resulting in play between the VYCE and the plate. I hazard a guess it was not tightened adequately at the factory. I immediately torqued it down to using a 25 in-lb Fix-It Sticks / Sloky torque limiter. Also during the initial testing, I actually did not have the BH-55 clamp fully tightened onto the VYCE plate, and the VYCE slid back towards me during recoil. Thankfully, the stop screws did their job and kept the VYCE from completely sliding off the ballhead. I was surprised by how well the VYCE grips the rifle stock. There is no slippage whatsoever between the VYCE jaws and the rifle stock. I think my only concern right now is the longevity of the rubber pads of the jaws and if they can be replaced easily. Note that the Really Right Stuff SOAR VYCE is referred to by RRS as an Equipment Support Mount. This VYCE can also be used to grip other objects that can fit in the jaws of the VYCE such as laser rangefinders. 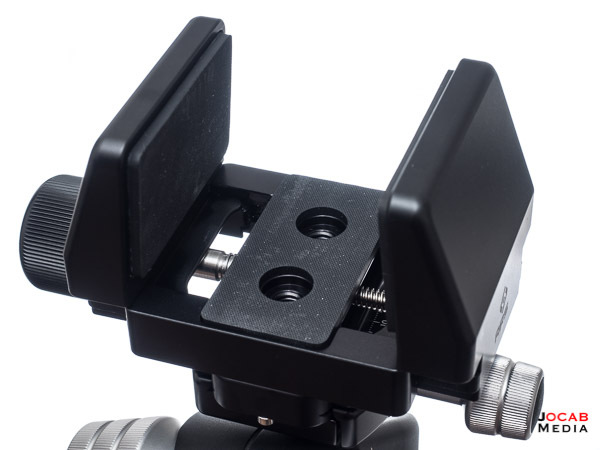 This is useful if you have an optic that you need to use on a sturdy support platform, but the device does not have a direct tripod mount or compatible plate. Note: My KILO2000 has the RRS plate for direct Arca-Swiss clamp compatibility. This is just an example. 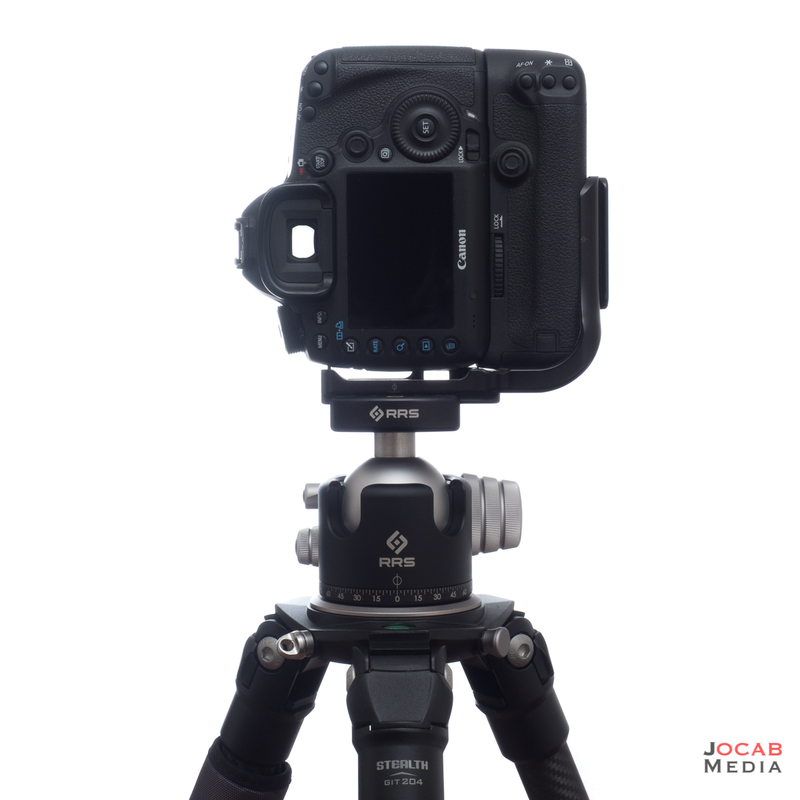 So after playing around with tripod shooting, I have a few thoughts on the matter. The first is that tripod shooting is not easy. 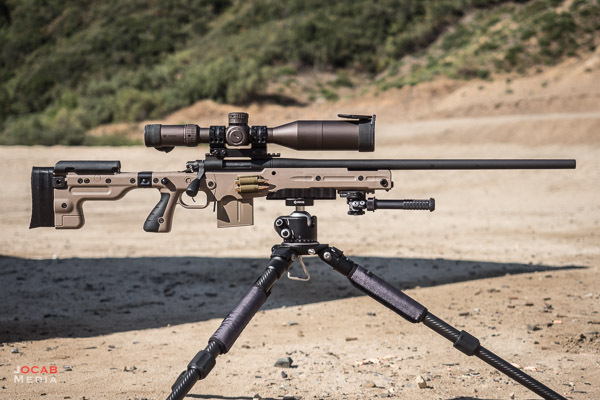 Even if you spend a lot of money on a tripod rig, you are not going to get a rock solid platform like a benchrest rig or simply shooting the prone position with a quality bipod and rear bag. Yes, a good tripod rig will be relatively stable, but it is not going to be so solid you won’t have wobble or movement in the sight picture. A tripod is simply too big a support system with a lot of parts and adjustments that while convenient, leave room for intolerances when it comes to rigidity and stability. This is especially evident when trying to shoot from the standing position off of a tripod. 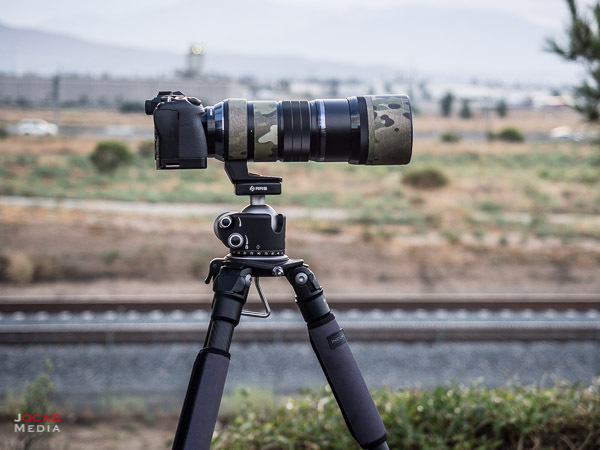 As I mentioned earlier, once you extend the legs of the tripod and utilize all of the sections, you introduce more instability due to the gradual reduction in section thickness from top to bottom (due to the telescoping design of tripod legs). This results in more horizontal / windage instability. So do not dump $1500 on a tripod rig and expect to shoot sub-MOA groups out of the box. I am not going to say you can’t shoot tight groups off of a tripod. But it does take practice. 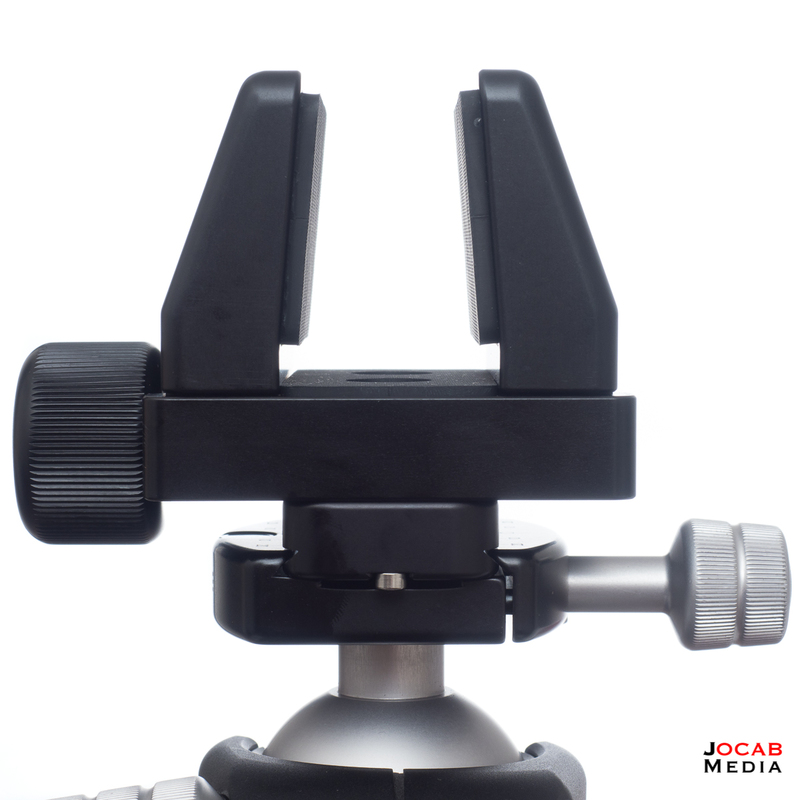 Along those lines, you cannot skimp on a tripod rig without resulting in detrimental stability. I indicated earlier that I started playing around with rifle tripod shooting using my Manfrotto 488RC2 and 055XPROB tripod. While this setup was just barely enough to support the rifle (approximately 17 lb load capacity), there was just too much wobble in the entire setup due to an aggregation of all the weak points in the tripod rig (thin ball stem, sloppy ball head friction controls, etc.). 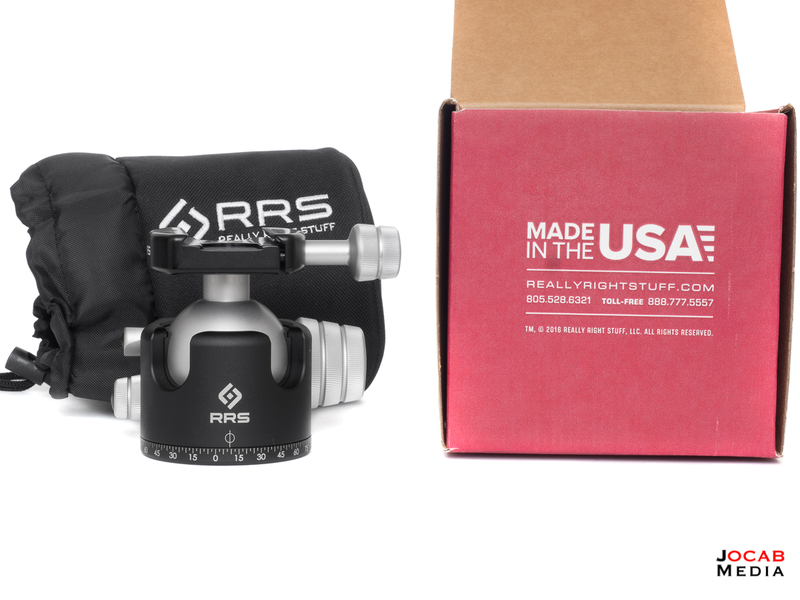 At the very least, spend on a high quality ballhead like the RRS BH-55. When it comes to supporting a regular still camera, one could argue the BH-55 is over-engineered with its 50 lb load capacity. 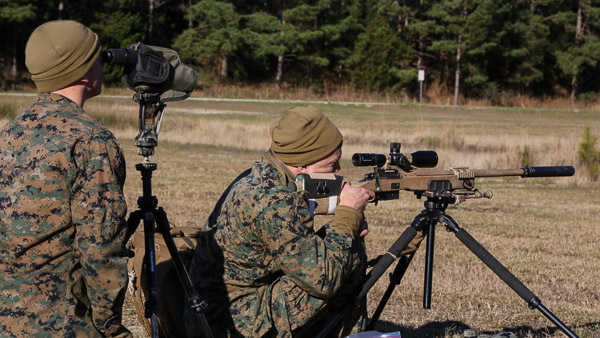 But when you place a large object like a rifle on a ballhead, where you can exert lots of torsional force during the shot process, this begs for a very stout ballhead design. As far as using a sling to stabilize the rifle and tripod platform, I honestly did not play around with this much at all and I do not think it adds much to the stability equation. If anything, I think it can hurt stability. Before everyone jumps on me for this statement, understand that I shot High Power Service Rifle for many years, and this is all shot using a sling for the sitting and prone positions. When trying to support the rifle with the body, a sling is excellent in that it helps to draw the rifle into the shooter firmly, eliminating all of the slack and rifle movement with respect to the shooter. The problem with trying to employ a sling with a tripod is that the positions that the tripods are used in keep the rifle relatively far away from the shooter’s body. The tripod itself is the support in this situation. So the sling doesn’t offer anything in this regard. Now using the sling to somehow tighten up the rifle and eliminate movement in the platform is a bit misguided. If for instance you put a sling on the forend and bring it around/under the tripod and to the shooter’s body, this is no adding another vector or torque that is going against the tripod ballhead or mount point. 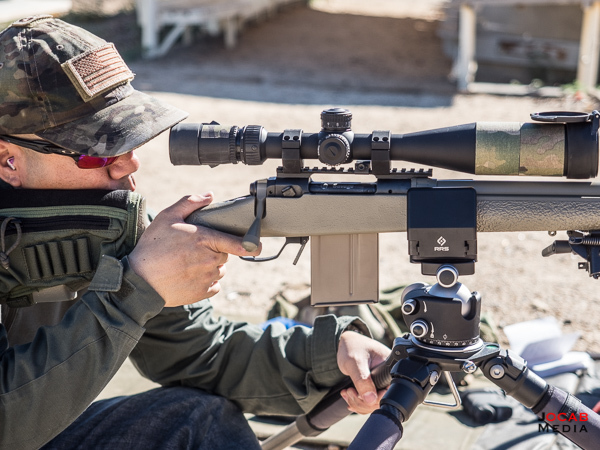 Unless the position allows you completely draw the rifle into your body, the sling tension is going to amplify movement in the rifle while on the tripod. I do feel that a sling can be helpful for recoil management when shooting off a tripod, and maybe this is enough to justify the use of a sling in some capacity with a tripod (such as anchoring the tripod via a hook or eyelet on the tripod base). In summary, I find tripod shooting to be a very challenging, but worthwhile method of shooting. 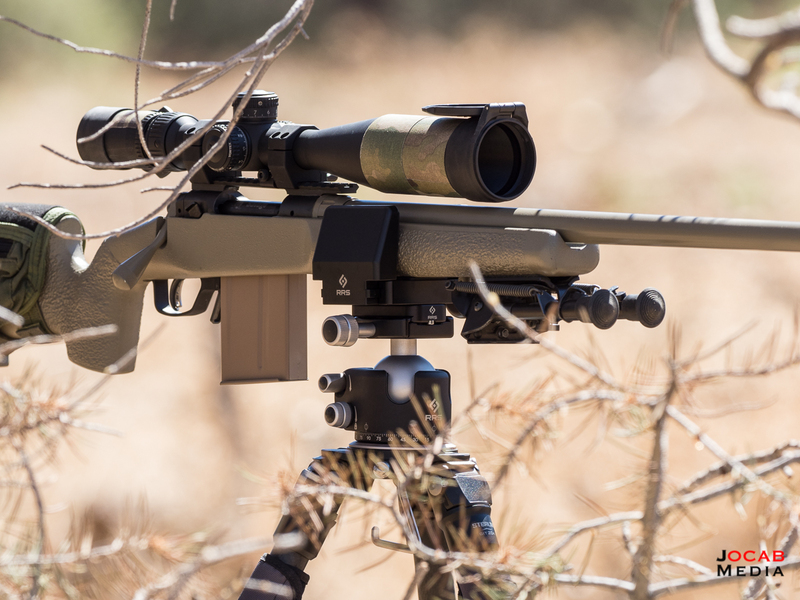 While it is not meant to provide way to shoot benchrest-style groups, it is a excellent field expedient support mechanism for non-prone, non-traditional shooting position. 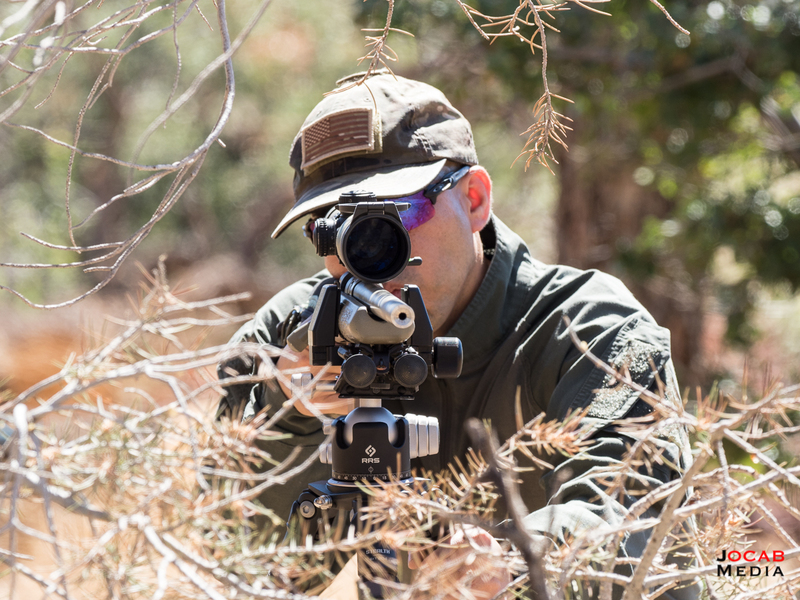 Anyone that shoots “in the field” will benefit from the skills of shooting off of a tripod. With practice, shooting at least 2MOA should be a fairly speedy achievement. 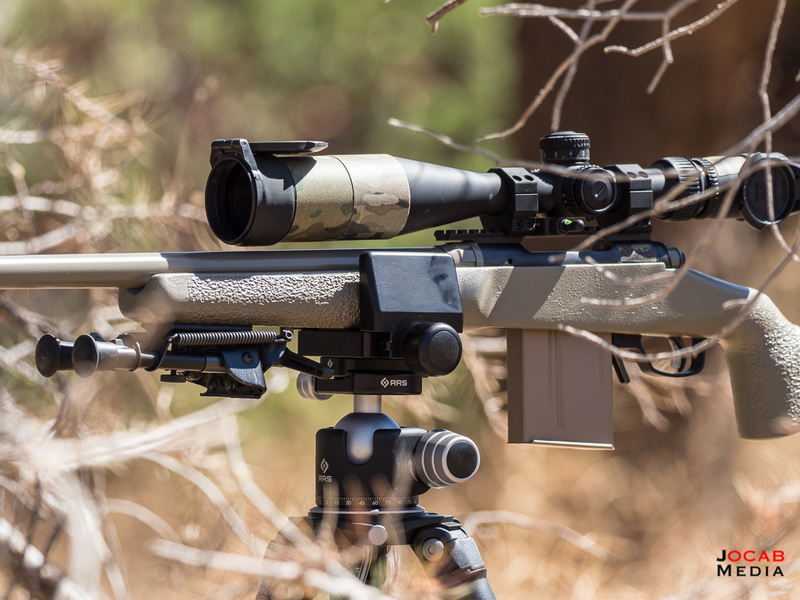 Getting to that 1MOA (and sub-MOA) hold with a tripod is where you need to invest the time (and money) in order to maximize your capabilities with a rifle and tripod setup. 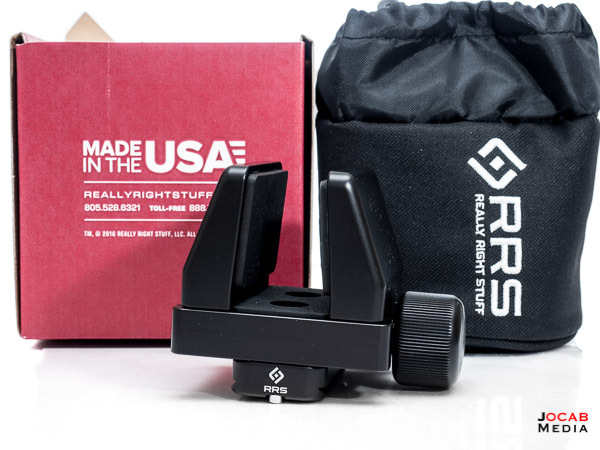 For more information on Really Right Stuff and the Really Right Stuff Sport Optic and Rifle (SOAR) line of products, visit their website at http://reallyrightstuff.com/. Nice write up. Thanks for all the insightful info. My problem is I have had three back operations and both knees replaced holding steady is a trick. prone , no way , sitting hard, standing is only option . How do you hold steady? would love to know if you actually purchased all of the parts or if the brands sent it to you to try? in any case, am truly thankful of the professional content and the great shots. I don’t know about Leo, but I purchase everything. I don’t get sent samples.